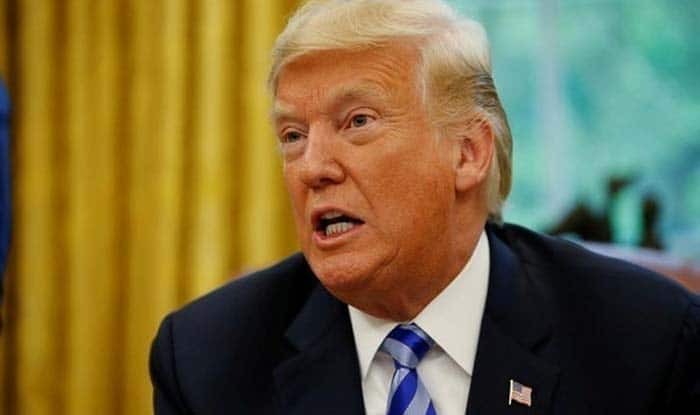 New York: President Donald Trump has taken aim at the 150 per cent customs duty he says India charges on whiskey imported from the US as he pushes for a law to impose reciprocity in tariffs in his battle to cut trade deficits. Trump’s remarks about India are meant for his voter base. Kentucky is the major US producer of whiskey and he carried it with over 62 per cent of the votes in the 2016 elections. He also won in Wisconsin, Missouri and Pennsylvania, where Harley-Davidsons are made. That brand is popular among his base of white men. Trump announced in March tariffs of 10 per cent on aluminium and 25 per cent on steel imports from India but has deferred them. The highest increases, from 30 per cent to 120 per cent, were to be on walnuts that are grown in California, a staunchly Democratic state. Whether Harley-Davidson actually pays the 50 per cent duty is questionable because it makes the motorcycles in a Haryana factory and they are treated as domestic products. The tax on imported parts is in the range of 15 per cent or less. If India dropped the tariffs on the larger motorcycles that are charged 50 per cent tariff, not Harley-Davidson, but others that don’t manufacture in India will benefit, contrary to Trump’s expectations. Also, till February last year when the duty on imported bikes was dropped uniformly to 50 per cent, the highest tariff India charged was 75 per cent and it was on those with capacities of 800cc or more.